Amazon has come with another amazing Sale Called "Super Value Day ". 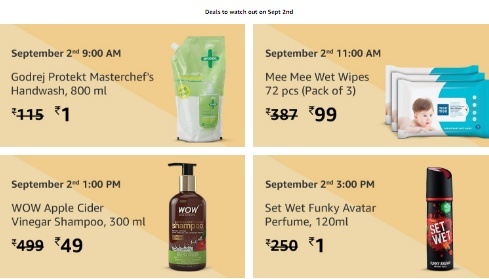 Amazon Offers Many Products at Very Low cost as Rs.1 and Rs.99 is Best offers from Amazon. 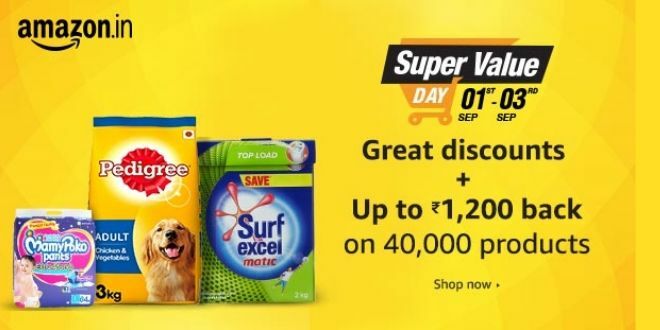 Amazon Super Value Day is Live Now, Where you can get Free Rs.100 GV On Purchase Of Rs. 1500 – 2999, 1000, 300 GV On Purchase Of Rs. 3000 – Rs. 4000 and 600 GV On Rs. 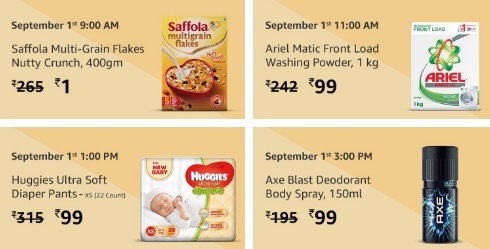 5000 + - here lots of category like Cooking Essentials, Food, Snacks & Beverages , Household Supplies , Cosmetics ,Personal Care & Grooming ,Skin Care , Hair Care , Baby Care , Super Saver Combos and Packs, Pet Supplies and more to buy . To get this offer please checkout below mention steps. 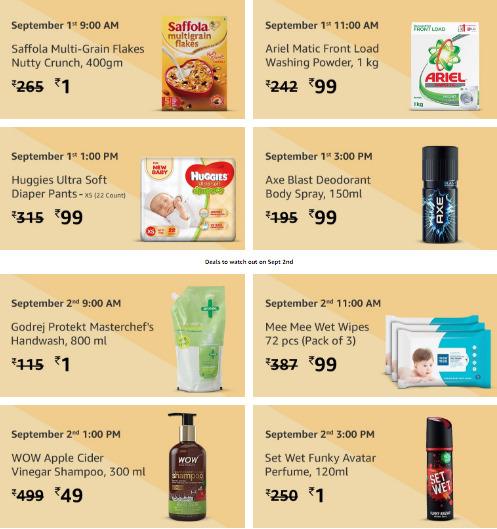 What is Amazon Super Value Day Offer? The Gift Card will be sent to the registered email ID of the eligible Purchaser by Amazon within 60 days from the date of purchase.